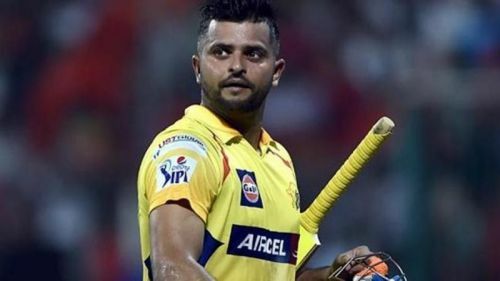 The 33rd match of IPL 2019 will be played between Sunrisers Hyderabad and Chennai Super Kings at the Rajiv Gandhi International Stadium, Hyderabad. CSK are at the top of the IPL points table with just one loss so far, while SRH would be desperate to get back into the playoff positions after suffering a dip in form recently. The Rajiv Gandhi stadium has so far hosted three matches between these two teams, with CSK leading SRH 2-1. In all the three matches played, the team batting first has won. On that note, let us now take a look at some of the key stats from SRH vs CSK matches in this stadium. 223/3 scored by CSK in IPL 2013 is the highest team total in SRH vs CSK matches at the Rajiv Gandhi International Stadium. 146/8 by SRH in IPL 2013 is the lowest team total in matches between the two sides at this ground. 176 runs scored by Suresh Raina of CSK is the highest number of runs scored by a player in matches between the two sides at this ground. 99* by Suresh Raina in IPL 2013 is the highest individual score in matches between these two teams at this ground. 6 half-centuries have been scored in matches between these two sides at this ground. 2 half-centuries scored by Suresh Raina is the highest number of half-centuries scored by a player in matches between these two sides at this ground. 47 sixes have been hit in matches between these two sides at this ground. 8 sixes by Suresh Raina is the highest number of sixes struck by a player in matches between these two sides at this ground. 16 fours by Suresh Raina is the highest number of fours hit by a player in matches between these two sides at this ground. 5 wickets taken by Dwayne Bravo of CSK is the highest number of wickets by a player in matches between these two sides at this ground. 3/15 by Deepak Chahar of CSK in IPL 2018 is the best bowling performance by a player in matches between these two teams at this ground. 2 dismissals by MS Dhoni of CSK is the highest number of dismissals by a wicket-keeper in matches between these two sides at this ground. 3 catches taken by Ravindra Jadeja of CSK is the highest number of catches taken by a player in matches between these two teams at this ground.